What do progressive Christians believe, and why? How do they get to their positions on questions like the nature of creation, authority, morality, and our relationship with God? What are the resources and the sources, especially if one doesn't hold to a view of biblical inerrancy or infaillibility? One key resource over the past half century of more is Process Theology. With its embrace of concepts like panentheism, Process has opened new avenues of thought and practice. The major drawback is that the ways in which Process has been laid out have been rather difficult to understand. One Process theologian who has taken care to better explain ideas is Bruce Epperly, whose writings appear at this blog quite regularly. 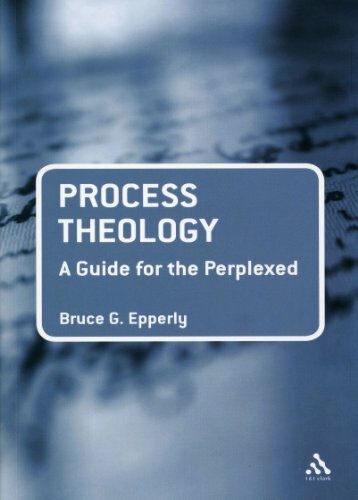 In this brief posting Bruce offers up a helpful overview of Process Theology. I invite you to check it out and offer your thoughts and responses. At the end of the text there is a brief bibliography. Each of the books is linked to Amazon, so you can purchase books if you'd like. In a recent Patheos piece, Fred Schmidt criticizes progressive Christianity for “not articulating in theological categories what it believes in.” While I disagree with Schmidt’s stark evaluation of progressive Christian theology – the The Phoenix Affirmations: A New Vision for the Future of Christianity of Eric Elnes or the EightPoints of the Center for Progressive Christianity provide a broad summary of progressive affirmations, nevertheless progressive Christianity needs to deepen its theological foundations. It needs a theology with the stature to embrace its vision of divine hospitality, partnership with science and medicine, commitment to social justice, and affirmation of cultural, ethnic, and religious diversity and pluralism. While progressives do not need to formulate absolute and inflexible doctrines, greater doctrinal gravitas will strengthen the progressive theological, ethical, and social voice. I believe that process theology provides the most comprehensive and sound basis for a fluid and flexible progressive Christian theology. 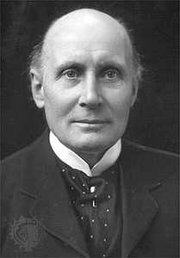 Process theology is identified with the philosophical insights of Alfred North Whitehead and Charles Hartshorne. Like other theological approaches (for example, Augustine and the Neoplatonists, Aquinas and Aristotle, Bultmann and existentialism), process theology uses the philosophical visions of Whitehead and Hartshorne as a lens through which to understand God’s presence in history and creation and to formulate a Christian vision of reality, including the nature of humankind, authority of scripture, revelation, science, and ethics. Reality is dynamic and interdependent. The universal nature of experience points to the universality of value. Non-human creatures are valuable and deserve ethical consideration apart from our use of them. Mind, body, and spirit are intricately connected and shape one another. To exist is to have some degree of creativity and experience, albeit minimal. The future is open-ended and will emerge in part as result of human decisions. We are in constant dialogue with God, giving and taking, in a dynamic web of call and response in which God nurtures our freedom and creativity. Our vision of God reflects our understanding of the world as interdependent, lively, creative, and open-ended. God is intimately connected with the world – God provides a vision of possibilities for every moment of experience. God’s influence on the world and human life is invitational, relational, and persuasive, rather than unilateral and coercive. God really experiences the creaturely world; God is influenced by everything that happens. God is the “most moved mover,” whose influence on our lives is connected with our impact on God’s life. The nature of God can be understood as panentheistic in contrast to pantheism (God and the world are one reality) and theism (God acts on the world from the outside unilaterally and supernaturally, and is not influenced by the world). Panentheism sees God in all things and all things in God. God embraces all things experientially, but is more than all things, in God’s ongoing experience and shaping of reality. God’s influence in the world is shaped in part by creaturely decisions – our openness to God enables god to be more active in the world. How we use our freedom, individually and corporately, conditions the nature and impact of God’s vision for our lives. God’s aim in the universe is toward beauty and abundance, and this vision embraces both human and non-human life. God is constantly injecting new possibilities to promote personal growth and planetary and cosmic evolution. Divine omnipresence and activity mean that God truly influences all things, working within the natural cause and effect relationships. God inspires wisdom, creativity, and love in every culture and spiritual tradition. Diversity reflects God’s aim at beauty. God seeks the greatest freedom, creativity, and diversity congruent with the well-being of our communities and planet. In the divine-human call and response, Jesus reflects the fullness of God’s vision for human life. Jesus’ uniqueness is grounded in both God’s call and choice and Jesus’ openness to divine energy, possibility, and vision. While Jesus embodies God’s vision of wholeness and beauty, God is also present as the inspiration for other transformational religious leaders (Gautama, Lao Tzu, Mohammed). The process vision of God and the world leads to certain affirmations about human and non-human life. Our vocation is to be God’s companions/co-creators in healing the world. We are constantly receiving divine inspiration and guidance. God’s light shines in and through us and all creation. All creatures are touched by God, regardless of their previous decisions. God’s grace is intimate and also unending. The heart of ethics and spirituality is to bring beauty and joy to the world, given the limitations and possibilities of our particular context. Our calling in the spirit of Mother Teresa, is to do something beautiful for God. The quality of our lives and actions truly shape God’s experience and activity in the world. When we truly open ourselves to God’s vision and energy, “miracles,” leaps in energy and inspiration occur. While these events are not “supernatural,” they reflect a heightened sense of God’s presence in the world. God’s impact on the world opens the door to mystical and healing experiences. We can truly experience God’s presence in our lives. Process theology serves to give a fluid foundation for the key elements of progressive theology: its creative affirmation of diversity and pluralism, its commitment to the liberation of all people, its concern for planetary well-being, and its affirmation of our responsibility to care for the most vulnerable members of our society. Process theology enables us to understand prayer and healing in “naturalistic” ways as heightening of God’s presence within the causal interdependence of life. Moreover, process theology articulates a vision that affirms the progressive partnership of faith and science, the importance of interfaith hospitality and global spirituality, and the value of this world as a realm of divine-human interaction. There is a lot to absorb here. I find that much of the language is abstract and presumes the reader already has certain basic knowledge - which I don't. That being said, certain issues jump out at me, such as the assertion that we are partners with God in "healing" the world. This presumes a universal brokenness, as well as a general inadequacy in creation - that creation is, and will continue to be broken and incomplete without our co-creative input. The brokenness I see in the world comes from failed human relationships. The world itself is not broken. And while the perceived failure of human relationships is real, I suggest that this perception we humans have is based on the human belief and aspiration that we can do better - and this "relational optimism" is from God. That being said, I find myself rejecting the catagorical notion that the world is in need of healing. May I suggest instead that we can be better stewards with the resources which God has placed in our hands, including our relational resources, including physical tools and social tools such as empathy, kindness and love. And the created universe is not necessarily incomplete - but instead it is filled with possibilities, possibilities inherent in certain random factors present in unhuman nature as well as inherent in human and divine choice, and finally in the unfolding of time, and each of these agents defy predetermination. Nothing is complete until it ceases to be. What God created was "creating" and not a "creation". A little truth mixed with a lot of unproven speculation and human philosophy. The result is heresy. It isn't Christianity. Well I'll be dogged! I assumed Gary was a disciple of Norman Pittenger. We cannot grasp any truth, but dimly, and we are prone to error. Our senses are limited as are the minds with which wrestle with ideas. The fact that God is not of this world, only multiplies the complexity of the effort, and multiplies the consequent errors which each of us make. We try the best we can with the tools given to us to figure out who we are, who God is and how best to respond to God. The ultimate question is: are we attempting to honor God in our thoughts and deeds or scorn God? "A little truth mixed with a lot of unproven speculation and human philosophy." This applies to all religion I suspect. Gary's probably right, except for making the judgments- which are also based on blind faith that there's a highly constrained reality of his choosing. "The ultimate question is: are we attempting to honor God in our thoughts and deeds or scorn God?" That's a good one John. I just noticed the last one. Ugh--not enough time in the world to read all that I should read!